Welcome to the tax preparation business. Starting a tax preparation business, to either supplement your current income, or as a full-time job, can be a rewarding and lucrative career. Whether you are brand new to tax preparation or you are finally branching out on your own after having successfully worked in a tax preparation office, you'll need to complete the steps below to start a tax preparation business. Congratulations on considering starting a tax preparation business, and enjoying a rewarding and lucrative career in tax preparation! To receive our Free Special Report, How To Start A Tax Preparation Business, which covers issues that are not addressed in this web site, click here. 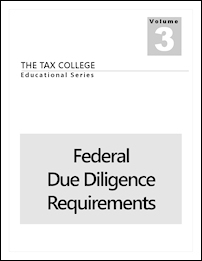 Obtaining a PTIN is required by the IRS for any person who prepares tax returns for compensation. If you are going to employ other tax preparers, this step is required for each tax preparer in your tax preparation business. The PTIN process can be completed quickly online. You'll learn more when visiting our Obtaining a PTIN page. 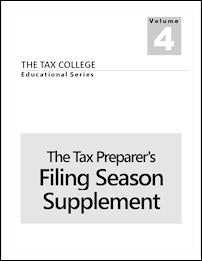 There are courses and training programs tax preparers should complete to learn what they need to know to prepare tax returns. With our online income tax courses at The Tax College, and the skills you'll develop, you'll have what it takes to start your own tax preparation business. Our home study online income tax courses will teach you everything you need to know to start a tax preparation business. 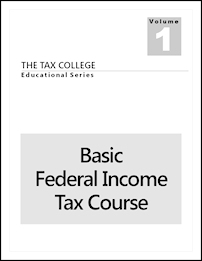 It will take you several weeks to complete our Basic Federal Income Tax Course. 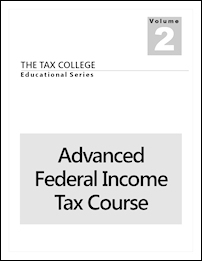 You'll learn more about our tax courses by visiting our Obtaining Free Training page.